Timpani Christmas Ornament – One of these Timpani Christmas Ornament ornaments will add the right touch to our holiday decor! 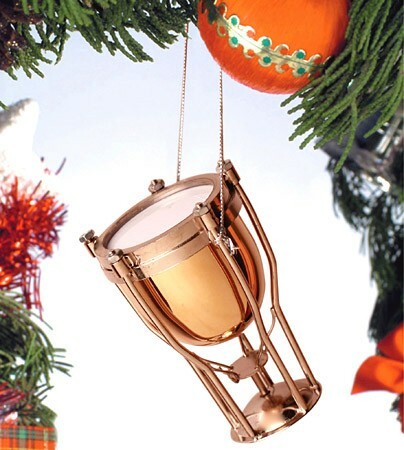 A beautiful crafted Christmas tree decoration fashioned in the style of the popular timpani or kettle drum. Hang this drum from your Christmas tree or display it on a shelf or dresser as it can stand. Drums brass colored with steel stand. Made of metal. Approx. 2.5″ H with drum diameter of 1.25″.